Foam rollers have quickly become one of the most popular work-out accessories used by athletes and workout fanatics alike. If you have heard of foam rollers but never used one of these accessories before, you may be wondering what it’s used for and how to use it. If used properly, foam rollers can help alleviate muscle tightness, pain and discomfort, and can help you keep your muscles and your body feeling its best. A foam roller is essentially a long tube made of hard foam. These cylindrical tubes range is size and can be anywhere from one foot to three feet in length. These rollers are used to release tightness and tension in the muscles; this way your muscles can relax into a healthy state and recover following exercise. You use these rollers to massage the muscles back and forth until you experience relief. You can buy foam rollers in a number of different densities, depending on the type of pressure that you like. As far as choosing the correct density, just know that the firmer the roller, the more pressure you will apply to your muscles. Most people should start with a soft foam roller first, particularly if they are dealing with tight and sensitive muscles, as firmer rollers can be more painful. You can use a foam roller on all types of muscles, but most experts recommend using them on your upper back, chest, abs, glutes, hamstrings, quads and calves. The only area that experts recommend you avoid is the lower back and directly over joints such as the knees. When it is time to roll, place the device underneath the muscle you are looking to loosen. Lay the roller on the floor and lie down on top of it, placing your targeted muscle group in direct contact with the foam roller. 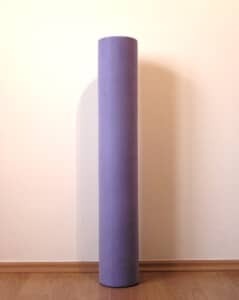 Roll back and forth several times; if it hurts, try to relax, breath and keep rolling as this means the foam roller is working to relieve tense muscles. You should try to roll several times a week, particularly if you are exercising often, sit at a desk all day or if you tend to get tight, sore muscles. Many find that foam rolling not only improves their ability to work out, but that it also helps them alleviate pain and discomfort all day long. Muscle rolling is a great compliment to stretching, exercise and of course getting chiropractic adjustments. Adding this muscle-relieving practice to your daily routine can help you feel more comfortable all day long and it can help your muscles and your body function in the way they were supposed to. If you ever have any questions about muscle rolling, how to use this accessory or the impact that it can have on your body, make sure to ask a health care professional for more information before you start using this product.